Two hundred steel-thighed runners climbed Guiyang’s highest building the hard way on the morning of March 26. 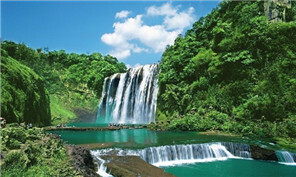 Twelve projects -- worth 4.074 billion yuan ($592 million) -- were signed at a tea promotion event in Beijing on March 26. 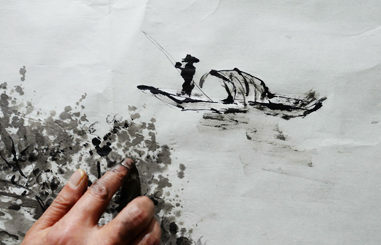 Using only his fingers as brushes and traditional Chinese rice paper as canvas, 53-year-old Chen Yuxiang began a four-year project in 2015 to create a scroll painting depicting his hometown of Guangzhou. Currently, he's halfway finished with the huge undertaking. 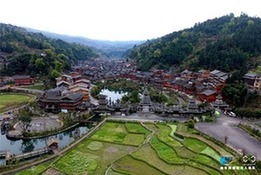 Surrounded by high mountains, Zhaoxing Dong village was listed as a Chinese Traditional Village in 2012. Tickets for the 2017 China Big Data Industry Exposition are now officially on sale, allowing people to purchase tickets online. The China-ASEAN Culture and Arts Education Communication Base was established in Guizhou province on March 22. Over 100 firemen from the Qianxinan Bouyei and Miao autonomous prefecture recently showcased their skills for the 2017 Qianxinan Firemen Skill Competition in Xingyi city.